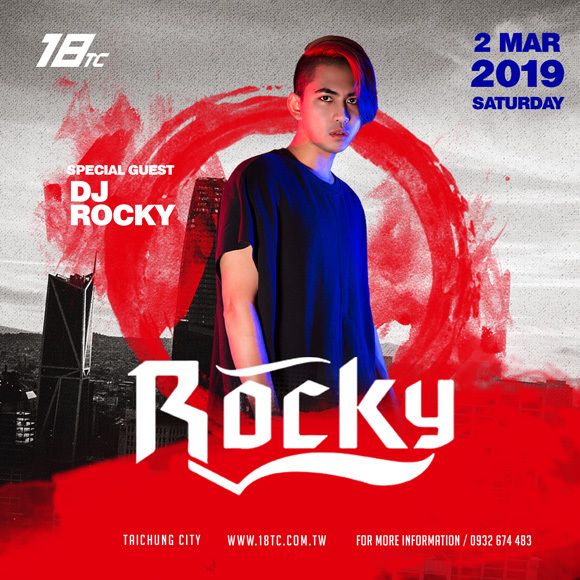 Rocky’s love for music began at an early age when he was exposed to a vast variety of musical influences as a young boy growing up in Bangkok & Pattaya, Thailand. Rocky was first being introduced to Electronic Music in 2005. Since then, today his style is a mix of everything; minimal techno, progressive, electro, trance & hard style. It is truly the best of all that the dance world has to offer. The year 2009 was a memorable one for him when he landed his first gig at Star Dice Disco Club , the biggest club in Pattaya, Thailand. Like a pro, he took on the decks and spun his first night to an AWESOME crowd which eventually led him to being one of the resident DJs for Star Dice Disco Club (Pattaya). From there on. 2009-2015 , The Pier Club(Pattaya) on 2014-2016 & Lucifer2.0 Club (Pattaya) on 2017-Present & The Club (Bangkok) 2017-Present. He did a warm up set for Flash Finger, IVY , Graham Gold, Jimmy Clash, Matt Caselli, Nakadia, Yellow Claw and more famous djs during the event. He spent most of his time resident DJs and touring around Thailand and Asia. He was also guest DJ at most of the top clubs and Festivals around China, Taiwan, South Korea, Japan and South East Asia (Thailand, Singapore, Laos, Myanmar, Philiphines, Vietnam, Cambodia, Malaysia). It is also thru this time that he discovered a new passion for Minimal Tech, Techno, Electro, Progressive Trance & Hard Style music. Then Rocky made his connection with China Asia Tour, Taiwan Asia Tour, Japan Asia Tour & South Korea Asia Tour . Since then he has been as guest DJ for the top clubs in Around South Korea such as MASS CLUB, BUTTON CLUB, LIBERTINE CLUB, MASSIVE CLUB, VERA CLUB, SYNDROME CLUB, DSTAR CLUB & ARENA CLUB. China Asia Tour more than 80 Shows on 2016-present.